FOX envisagent de créer une mini-série pour un retour X-Files à la télévision dans le même style qu'ils ont fait pour 24. Following the success of Fox’s 24 limited series, the network is looking to bring back another iconic drama series, The X-Files. Fox TV Group chairman Gary Newman today confirmed chatter that the network is in talks for a new installment of Chris Carter’s cult supernatural drama, which starred David Duchovny and Gillian Anderson. Newman went on to say he was “hopeful” about the outcome. Carter hinted at a possible reboot in the summer, acknowledging he had had conversations with Fox and 20th Century Fox TV, the studio behind X-Files. The series already spawned a movie franchise, and there also has been a fan campaign to extend that franchise with another movie. As for 24, nothing new to report but Newman noted that he and fellow Fox TV Group chairman Dana Walden are in continuous conversations with the creative auspices behind the 24 franchise. “We’d love nothing more than to do another 24,” Newman said. L'article parle d'un "reboot" sur X-Files, mais Gary Newman de FOX confirme que la série serait encore avec David Duchovny et Gillian Anderson. Fox Television Group Chairman and CEO, Gary Newman, told reporters at the end of the Fox TCA exec session that there were early talks about potentially bringing X-FILES back for an event series. After the panel, when Newman spoke with reporters, I asked him what the progress was of a potential series, and who would actually be attached. Si ça fait comme la rumeur de 24 en mai 2013 et qui était revenu à la télé environ 1 an après son annonce, on pourrait peut-être voir le retour de X-Files pour le printemps/été 2016. Confirmation du retour de X-Files pour 6 épisodes sur FOX, toujours avec David Duchovny et Gillian Anderson. “The X-Files” gang is getting back together for a six-episode limited series to which Fox has formally given a series order. David Duchovny and Gillian Anderson will be back as FBI agents Fox Mulder and Dana Scully. Series creator Chris Carter will be at the helm for 20th Century Fox TV and Ten Thirteen Productions. Production is set to begin this summer, although Fox has not yet set an air date. The “X-Files” revival follows last spring’s return of “24” as a 13-episode limited series. NBC has joined the mania for resurrecting series with built-in audience awareness with its plans for the “Heroes Reborn” miniseries next season. Fox Television Group chairs Gary Newman and Dana Walden shepherded the show on the studio side during its network run. The pair have made no secret of their interest in bringing it back. The new episodes may well spark renewed interest in the show from SVOD platforms, just as the “24: Live Another Day” episodes spurred Fox to cut a rich pact for the entire series library with Amazon Prime. Earlier this year, Newman and Walden confirmed early plans for “The X-Files” revival at the Television Critics Assn. press tour. Le série va être en onde dès le début de l'année prochaine, plus précisément le dimanche 24 janvier 2016 et ensuite les lundis suivants à partir du 25 janvier 2016. Lorsque la série de Gotham va être en pause après le temps des fêtes, la mini saison de 6 épisodes pour le retour de The X-Files va occuper sa case horaire, puis Gotham va reprendre sa place comme auparavant quand The X-Files sera terminé. Eagerly anticipated six episode event series The X-Files is being benched until January, when it will kick off with a two-night premiere on Sunday January 24th following the NFC Championship Game at 10pm. The series will then move to the 8pm time-slot on Monday nights from January 25th, where it will continue to air for the following four weeks. After it concludes its run, Gotham will once again assume the slot. Après un premier film en 1998 et un deuxième en 2008, ça serait le fun d'en avoir un troisième et dernier en 2018 pour clore le tout. Where is light, there is...darkness. C'est pas mal hype comme trailer. J'ai hâte! En plus c'est confirmé qu'il y aura deux épisodes Monster of the Week, qui étaient parmi mes favoris des premières saisons. Par contre, six épisodes c'est bien trop court. Jill, here's a lockpick. It might come in handy if you, the master of unlocking, take it with you. En fait, les quelques nouveaux épisodes de X-Files ont seulement été produit pour faire un coup marketing et créer un nouvel engouement envers la série sur les services de streaming. The X-Files is returning to Fox as a limited-series event with a six-episode order that’s set to begin production later this year. Of course the news met yesterday with massive excitement among fans – particularly on social media. However, while it’s exciting, the truth of the matter is this revival has nothing to do with making those fans happy. It also has nothing to do with bringing closure to the show’s loose plot threads. In fact, it doesn’t even have anything to do with Fox trying to land a giant Nielsen score upon the revival’s premiere. 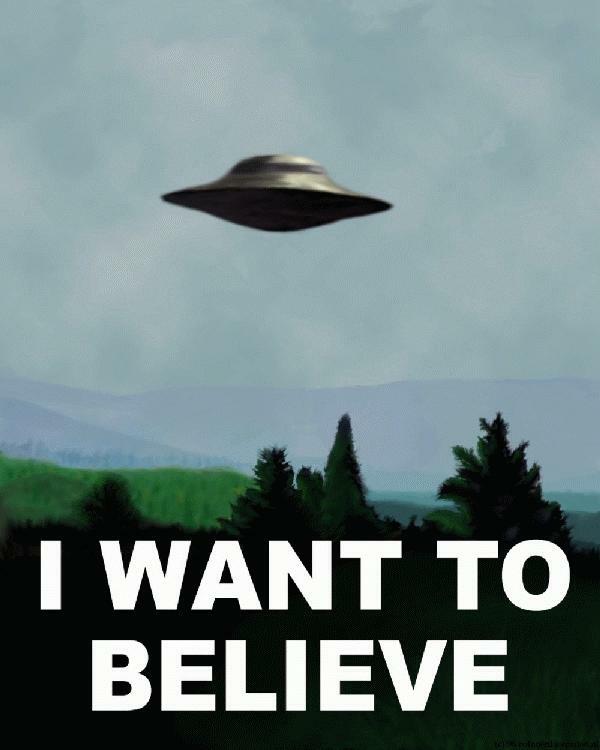 No, all the X-Files reboot has to do with is a deal for the show’s exclusive streaming rights. Back in November 2013, we discussed the reason why Nikita, The CW’s painfully low-rated action series, was given a final six-episode season that wouldn’t ultimately bring its total to the 88-episode minimum required for traditional syndication. The conclusion was rather simple: a series that concludes with a six-episode wrap-up would be more viable to outlets like Netflix and Amazon since a show that has ended properly is more likely to be watched by customers on the service than one that didn’t. Similarly, this is what The X-Files revival is really about. Just prior to its return last May, Fox struck a lucrative streaming deal with Amazon for the entire canon of 24. Previously, the show had been available on both Amazon and Netflix. The fact that Live Another Day was to follow only a short few weeks later made what was a dead property a hot commodity. Essentially, 24 became found money. The mistake, however, was in the money Fox spent to bring Jack Bauer back to life, and this is a mistake it isn’t about to make again – the explaining the short-order 6 episode season. A revival of ­The X-Files means all of the show’s previous work is valuable again. Old fans are going to start re-watching it, and newcomers are going to start seeking it out in order to get caught up before the premiere. The reason this matters is because Fox can use that leverage to strike yet another highly valuable streaming deal with one of the big three (Netflix, Amazon and Hulu) to make some serious money off the currently dead series. Just as Transformers movies are about selling toys more than movie tickets, a new X-Files is all about selling Netflix subscriptions more than it is about Nielsen ratings. Fox doesn’t actually care that people want a new season of The X-Files, but they do care that Netflix would pay big money to stream the show exclusively in order to allow people the chance to catch-up beforehand. Like 24, X-Files is now nothing more than found money for 20th Century Fox Television. It’s actually this logic that will be the reason why shows like Terminator: The Sarah Connor Chronicles and Reaper will never be revived. A network revives an old, cult show to make the original investment viable. Fox network won’t benefit from the airing of new X-Files episodes, but its sister studio will – which ends up benefiting Fox network in the long run. Fox would never air more Sarah Connor Chronicles because it’s a Warner Bros. show, so the only entity that benefits from a streaming deal that would happen because of such an announcement would be Warner Bros.
24: Live Another Day was the show’s lowest rated season, but it didn’t matter because Amazon paid big money for it anyway based on expectation. The same will be true for Heroes Reborn later this year, and it will be true again for The X-Files. Don’t kid yourself into thinking Fox cares about your desire to see Mulder and Scully’s journey come to a proper conclusion. To them, you’re nothing more than leverage for the likes of Amazon, Netflix and anyone else who would pay for the right to steam exclusively. Le retour de X-Files pourrait être le backdoor pilot pour un nouveau spinoff à la série? Is Fox Eyeing an X-Files Spinoff Starring Robbie Amell and Lauren Ambrose? How’s this for a wild conspiracy theory: Fox’s upcoming X-Files revival doubles as a backdoor pilot for a possible new series starring The Flash‘s Robbie Amell and Six Feet Under‘s Lauren Ambrose. Crazy, right?! Well, rumor has it the idea to potentially spin off Mills and Einstein, the new alien-hunting FBI agents played by Amell and Ambrose in the forthcoming continuation, was bandied about. But it appears the project has gone the way of the Smoking Man (AKA it’s dead… but could come back to life?). Speaking of which, the X-Files returns with a special two-night event beginning Sunday, Jan. 24 following the NFC Championship Game, and continuing with its time period premiere on Monday, Jan. 25 (8/7c). In addition to Carter, Anderson and Duchovny, cast members Mitch Pileggi and William B. Davis will be on hand for the event series, as will writer-producers Glen Morgan, James Wong and Darin Morgan. Weightless. Endless. Faithless, I'll adore you. J'ai toujour préféré les ''Monsters of the Week'' que la recherche sur la soeur de Mulder honnetement pis les ET.Rendu a S4 j'en avais plus rien a crissé. L'an passé je me suis claqué saison 1 a 3 sur club illico et je trippais. J'espèrais pouvoir écouté la saison 4 mais ils l'ont pas sortie... je vais surement me tappé la saison 4-5 en streaming avant le début de la nouvelle. J'ai vu quelques épisodes dans le temps mais j'ai jamais écouté la série au complet. Je me suis donc commander les 9 saisons en Bluray pour 11,50$ chacune. À ce prix là je pensais pas me tromper. Penserais pas être capable d'écouter tout ça avant la mini-série par contre. j'avais égalisez les prix -10% de la différence en dvd chez besbuy ça m'est revenue a moins de 90 ou 80 avec taxe. une chance la première saison correct. mais la saison 2 à environs la moitiée de la saison 5 de mémoire étais le plus plate. de la série comme s'il allais nul part. Diffusion du premier épisode ce soir dans les alentours de 21h30/22h (après la game de football) et le deuxième épisode est demain soir à 20h. Faut dire que j'ai jamais été un fan des conspirations du gouvernement pis le E.T dans le show donc c peut etre pour ca..
Je préfere tellement les monsters of The Week que ca. La première et la finale ont le même story arc, mais le reste des épisodes va être des "Monster of the Week". C'est exactement le X-Files que je voulais voir Pas l'épisode boring d'hier..
Wtf que Scully et Fox y'ont eu un kid ensemble,c'est qu'elle saison ca? Pour leur kid je pense que saison 7 Scully tombe enceinte, elle accouche pendant la 7 ou la 8 et il me semble qu'elle le donne en adoption dans la 8 mais je suis vraiment pas sur. Je sais, mais il faut aussi dire cette histoire de bébé date de genre 15 ans, alors ça remonte à assez loin et à ce stade-ci on ne peut plus vraiment considérer ça comme un spoiler si quelqu'un est autant en retard sur la série. En tout cas, s'il y a de gens qui écoutent le retour de X-Files sans avoir regarder les anciennes saisons, bien c'est sûr et certain qu'ils vont se faire spoiler plein d'affaires ou rater toutes sortes de références et rien comprendre, mais d'une certaine façons c'est leur problème, car c'est comme courrir après le trouble pour rien s'ils écoutent la suite d'un show qu'ils n'ont pas vu auparavant. En passant, ça fait un peu plus de 13 ans que la série s'est terminée depuis 2002, pourquoi t'as pas pris le temps d'écouter les dernières saisons que t'avais jamais vues? Si c'est vraiment le cas, j'espère que FOX vont faire une autre nouvelle mini-saison l'an prochain ou l'année suivante. En tout cas, le retour de X-Files a eu des ratings plus que bon pour un revival de série, alors ça serait quand même très surprenant si Fox décidaient ne pas faire suite à ce revival.